SKU: GMLKK11LTSP. Categories: New Arrival, Spray Bottles, Sprayer, Watering Tools, Gardening tools. Tags: 11 Liter, Air, Compressed, Compressed Air Sprayer, garden, Garden Sprayer, hand, Hand Pressure, Kisan Kraft, natural, pressure, Sprayer. 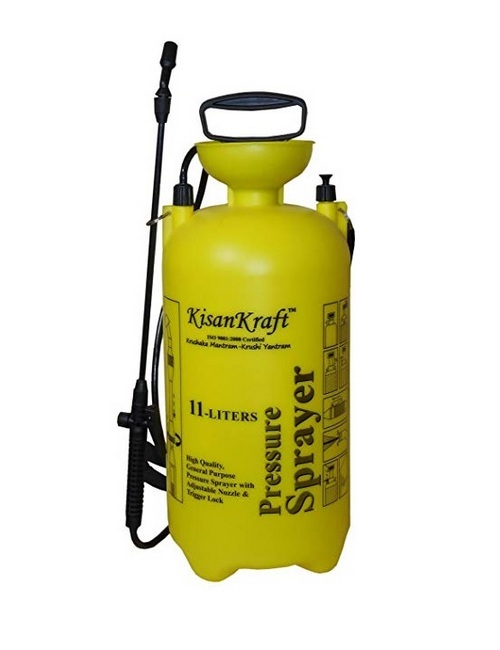 Kisan Kraft 11-Litre Plastic Manual Sprayer is a multi-purpose best in class sprayer which can be used to spray pesticides in your garden and can be used for other spraying purposes like fertilizing, Automotive, car, bike, scooter, kitchen, general cleaning. Note – Color May Vary at the time of delivery.